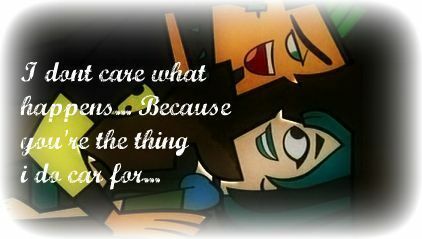 Duncan+Gwen. . Wallpaper and background images in the TDI's GwenxDuncan club tagged: duncan gwen love??. This TDI's GwenxDuncan photo might contain tanda, poster, teks, and papan tulis. AWWWWWW!!!! =] =] =] =] =] I LOVE LOVE LOVE THEM TOETHER!!!!!! this is just soo cute!!!!!!!!!!! Gwen: SHUT IT AND KISS ME!! Duncan: O.O' I've been wanting to do this since season one!! can someone tell me what it says?